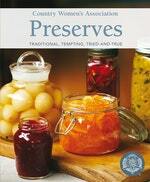 Try this free recipe from Country Women’s Association Preserves. Cut tomatoes and onions into thin slices, sprinkle in a large bowl with the salt and leave for at least 12 hours, or overnight. Drain off liquid and place tomatoes and onions in large pan. Add the vinegar and boil for 5 minutes. Mix curry, mustard and pepper with the extra vinegar and add to the pan. Boil for 45 minutes, then add the sugar and boil for another 45 minutes. Bottle and seal relish while hot. Store in a cool, dark place. Refrigerate once opened. Keeps for 12 months, but can be used as soon as it’s made. Now you can learn from the experts!